Beaucerons are the rugged, muscular and large beast that stands up to height of 27.5 inches at the shoulders. They look graceful and are well-poised. They have a dark-black coat that has squirrel-red accents and red feet that make them look impressive. They are level headed watchdogs and guardians and are the best company for the children. 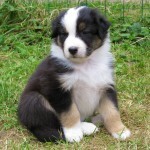 Primarily, the breed was a French herding breed which was known for several centuries in the Western Europe. This breed had become one of the noted breeds after they were used to create Doberman pinscher. The breed was found more in the Northern France than the Beauce region. Though they appear to be so different in appearance, the long-haired sheep dog and Beauceron have the same ancestors. Like Beauceron, Briard is also found all over the Northern France and was used basically for the herding purpose. They have a long head which is well-chiseled and sparkling dark brown eyes. They resemble the Belgian Malinois in looks but are somewhat larger in size. They are heavy, but they can move lightly and gracefully. They have long muzzles and have slightly wide that have deep expressive eyes and tanned eyebrows. Their ears are cropped which sit high and upright on their head. The breed has thick tail that forms the shape of “J”. 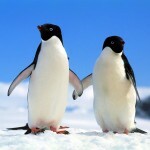 They have extra claws on the back of their foot which can be removed if the dog is active. They are available in different colors like tan, black, harlequin colors. They have white markings on their thick coat. They need high-quality dog food whether you prepare it at home or buy it from the market. It is better to consult your vet before scheduling their diet. If your dog is highly active, he would have high nutritional requirements. 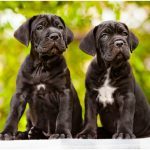 So, you need to assess the condition of your dog and keep in mind that they are prone to get overweight as they grow. Be very careful to give them clean, fresh water and healthy, vet-approved food only. They have a short, double coat. Their undercoat cannot be seen through the top coat which is short, fine, downy and somewhat mousy in color. The topcoat is longer than an inch. It is denser, smoother and covers the body all over. They have feathers at the tail and legs. They are available mainly in two colors harlequin or black and tan. Black and tan breed of this dog have patches above their eyes. On the bottom of their upper throat and lips, they have two tan spots on the breasts, tan on the bottom of the legs and under their tail. They have patches of black, gray and tan and there are more patches of black than gray. They are not difficult to maintain. They do not have any special grooming needs. They have short, no-fuss coat which does not require any special trimming or stripping. They need to be given baths only in a few months or as required. They do not shed much and are hence manageable only with the brushing of their furs once a week. Monthly clippings of the nails should be done also. Regular cleaning of hair promotes good health. The dog does not go well with the novice masters as they are highly active and intelligent. They are dominant and hence need to be well-trained. When they are well-trained, they learn to socialize and become level headed. They are a good guardian and can become friendly easily. 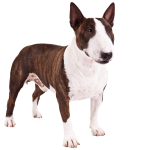 The breed is very powerful, athletic, and intelligent and needs a lot of physical as well as mental exercises. Since, they are dominant, they are not meant for the novice owners. They need a wide variety of outdoor activities and different types of exercises each day to remain fit and energetic. The dog was not bred to gather the sheep but the dog can be trained for the herding events. They are agile and brimming up with life. Socialization should be an important part of their training. They need to be taught for obedience. They are highly intelligent, strongly devoted and loyal towards their owners that make their training very easy. They are firm, fair, and consistent and are easy to handle. They are well-known for their exuberance like jumping over the people, grabbing things with their mouth etc. Due to their large and deep-chest, they are susceptible to bloat. Their owners should educate themselves on what health conditions they are likely to suffer from. Heart diseases, eye problems, allergies, hip dysplasia and allergies are some of the health conditions they are likely to suffer from. Their health should be checked on a regular basis and their teeth should be brushed frequently. Beauceron is highly intelligent dog that has a lot of courage and like to maintain its calm. These are quick learners as they are highly intelligent. They can adapt to other breeds well and are a good companion to the children. It is important to note that a proper training is very necessary for the dog as it has a dominant and bossy nature. Once they are trained well they can be very obedient and faithful. Early training to the breed is very helpful if you want to make use of their full intelligence. These muscular and large chest beasts have a well-chiseled body and prove to be a great company.